Roger Ebert might not believe that video games can be art, but the Smithsonian American Art Museum is all too keen to appreciate games as art with its upcoming 'The Art of Video Games' exhibition later this year. Exploring 40 years of video games with a focus on their evolution as an artistic medium, the Smithsonian exhibit will feature a substantial number of games across a wide variety of genres. The games on display are organized chronologically and include classics like Pac-Man, Space Invaders, Super Mario Bros 3, Earthworm Jim, Final Fantasy VII, Super Mario 64, Rez, Shadow of the Colossus and the seminal Flower. In all, "The Art of Video Games" exhibition features 80 games chosen to demonstrate the artistic achievements of the medium across five different eras representing the evolution of video games. Presented through still images and video footage, the exhibit includes video interviews with developers and artists as well as large prints of in-game screenshots. A unique musical piece titled "The Art of Video Games Anthem" has been recorded by chiptune music band 8 Bit Weapon specifically to accompany the general chiptune soundtrack that plays throughout the exhibition. The exhibit will also be interactive, with five seminal games (Pac-Man, Super Mario Brothers, The Secret of Monkey Island, Myst and Flower) available to play for a brief time. 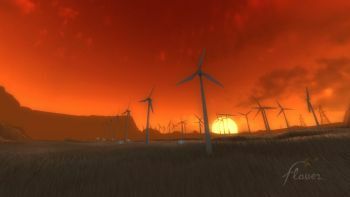 Each has been chosen as an exceptional example of how game designers have created increasingly complex and interactive environments for the player to explore, showcasing the evolution of numerous techniques that are now seen as standard for most video games. Guest curator duties for the exhibition go to Chris Melissinos, former chief gaming officer for Sun Microsystems. And if you're not willing to travel out to Washington D.C. to see this exhibit firsthand, don't fret; the "Art of Video Games" will be traveling to several cities across the United States following its initial run in Washington D.C.
Don't forget, those keen to be part of the exhibition can still add their name to the credits by supporting it online or via SMS. Full details on this scheme are available on the museum's website.